It is so hard to play a waiting game like this. Unfortunately, kittens are extremely vulnerable to Feline Leukemia Virus (FeLV). The virus is caught through secretion of bodily fluids, so can be caught even through grooming one another. It's most likely that the mother has passed this on to her kittens, but it is possible not all the kittens contracted the disease. Is there any way to keep the kittens separated from one another as well? Also, if you have cats of your own, do not allow these cats to interact with your other cats. There are some treatments available for FLV-infected kittens that can extend their lives. Since these are not your pets, I would discuss this issue with the owners of the cat and kittens and find out their wishes. Also, do not let them go outdoors as the greatest current danger to them is their weakened immune systems. I wish I had better news for you, but I feel it is best to be armed with the facts so you know how to proceed. Good luck! My cat is about 9 months old. He started to bleed from his nose. What could it be? This could be something as simple as the cat bursting a blood vessel while sneezing or he could have fallen off something and bumped his nose. However, bleeding from the nose can also indicate more serious conditions, including some viruses and cancer. My advice is to take him to the vet immediately and get an examination. The vet may want to run some blood tests to rule out feline leukemia and a few other things. Some of the viruses that can produce this symptom are highly contagious to other pets, so it would be best to contain him in a small area, such as a bathroom until you are able to get him to the vet. It is always best to err on the side of caution. Cats are small animals, so if bleeding is excessive you should always get them to a local vet to get the bleeding stopped and minimize damage. Please come back and let us know what the vet said and if your cat is okay. My kitten is about three and a half months old, and has a plugged nose. Yesterday she sneezed and quite a large-sized booger came out of her nose. Now today she's missing a patch of fur behind her ear and the skin looks slightly pink and irritated. I think she may have just bonked herself in the night because she has a tendency to run and do flying leaps into things, but I just want to be a little more sure about that. I was also wondering if it's okay to put some Polysporin on the spot? Has your kitten received any vaccinations yet? There are many respiratory diseases that can produce large amounts of mucous in your pet's nasal passages and lungs. I'd recommend letting your vet give kitty a check up just to be sure nothing more serious is going on. As for the sudden bald spot, I don't think bumping herself would have caused it. Irritation at the site would indicate the hair had been pulled out somehow. Do you have any other pets in your home, or do you let your kitten go outside? If so, she may have lost the fur patch in a tussle, and areas around the neck and back of the head are prime spots for other animals to latch on. Certain types of parasitic infestations can also cause bald spots due to excessive scratching. Since the area is likely one she can't reach by herself, I don't think it will harm her to apply a little antibiotic cream to the spot, but you should call your vet's office and ask which brand is safe to use on felines since some can actually cause further irritation. I left my very playful twelve-week-old kitten with my mom for two days, and when I came back he had strange spot on the back of his neck. It's missing hair and is kind of sticky. I don't know what it is or what I should do for it. It sounds like your kitten managed to get some of his fur pulled out, although I can't guess how, and the sticky discharge may be a sign that the spot is getting infected. Does the area look red, swollen or have a bad odor? If it does, you might want to ask your vet to take a look at it. In the meantime, I'd recommend gently irrigating the area with some lukewarm water to try to rinse the discharge away, then applying a small amount of an antibiotic first aid cream to the spot. Make sure you wash your own hands before you begin so you're not adding any more bacteria to the wound. Watch to see if your cat tries to scratch at that spot. If he does he may cause further damage, and this would be another reason to consult with your vet. Could it be Cat Flu? According to the symptoms I think they either have cat flu or feline leukemia. One of the kittens seems to be over the illness, but he's around the other cats and he cleans them constantly. Is there an antibiotic I can give them? It sounds like you have a real problem on your hands. Although I am not a vet, it certainly sounds like you may have a major case of cat flu going on. The disease tends to strike in concentrated cat populations, especially if the cats have not been vaccinated. There is no antibiotic to treat cat flu because it's caused by several viruses. You can vaccinate to help prevent these viruses, but you can't cure them once they've taken hold. Antibiotics are sometimes used to treat secondary bacterial infections brought on by a sick cat's weakened immune system. Sometimes cats live through cat flu, but if they do they become carriers of the virus. This means they will shed it in their tears, nasal discharge and saliva for the rest of their lives, increasing the chance that other cats sharing the living environment will contract the disease. 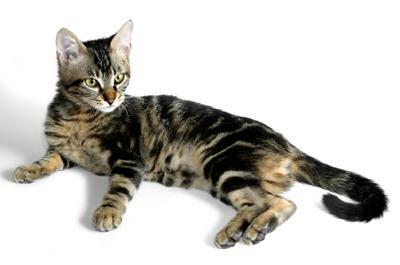 As for feline leukemia, sadly there is currently no cure, but again, the disease can be prevented through vaccination. I urge you to take your pets to the vet to get a true diagnosis on their condition. A licensed veterinarian is the only person qualified to figure out what's going on, and if there is some kind of treatment that could benefit your cats.